The Blockchain has had 7 years of progress. Considering the remarkable pace at which this technology has developed, the race is already on to write the next chapter. One of the many promising candidates vying to do just that is IOTA which focuses on the critical intersection between IoT and the Blockchain and aims to bring scalability, quantum security and fee-less payments to the Internet of Things. 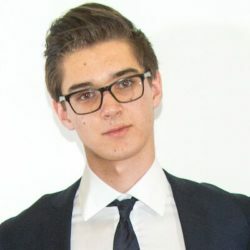 During Bitcoin Wednesday on 3 August, 2016, Dominik Schiener, one of the creators of IOTA, will take us down the mythical rabbit hole to explain how this new decentralized network is designed to be the backbone for the IoT economy. Mr. Schiener’s talk will cover the innovative Tangle, IOTA’s new kind of distributed ledger (without blocks!) and how he believes that the Machine Economy fueled by IOTA tokens will transform our world. Mr. Schiener’s work has won several prizes from Deloitte, Wanxiang, GTEC and the ENBD Group. His project CargoChain, which introduces IoT and Blockchain solutions to international trade, was the winner of the largest Blockchain Hackathon to date, held in Shanghai in January 2016.